I've recently purchased quite a few jewellery products as it was my New Years resolution to increase my accessory collection - I wanted chic pieces that would go with everything and didn't look childlike so anything garish or plastic was out and anything in mixed metals, precious and semi-precious or with a bohemian twist was in. The reality is I've been there and done that when it comes to plastic low cost pieces, I've had pieces that were so on trend they went out of style within weeks, I've had pieces that were so bright and child like and I've had the whole miss-mash style that now makes me cringe looking back. As I get older and more so when I hit my thirties I started appreciating the less-is-more-attitude which also affected my jewellery and clothing styles. I instantly fell in love with this Buckley Russian Trio Bangle because it reminded me of one that my mum had when I was younger, my dad also adored the look of rose gold on a lady and that kinda stuck with me growing up. He used to tell me that the silver represented the past, the gold represented the now and the rose gold represented the future as it was rarer and more premium than the other two golds and he knew my life would be so much richer in the future. My dad was really the most amazing man ever. This bracelet is apparently one of their top sellers and it's made with real 18k plated gold, rose gold and rhodium so while it's not quite up to my dad's luxury standards it's still a fantastic, low cost option for creating a classier overall style. Can you believe this only cost £55? Wearability this has lasting power, it has the right amount of ''jingle'' and looks sleek and sophisticated even with jeans. As a gift idea it's absolutely viable due to it's price and it comes in a lovely box too. 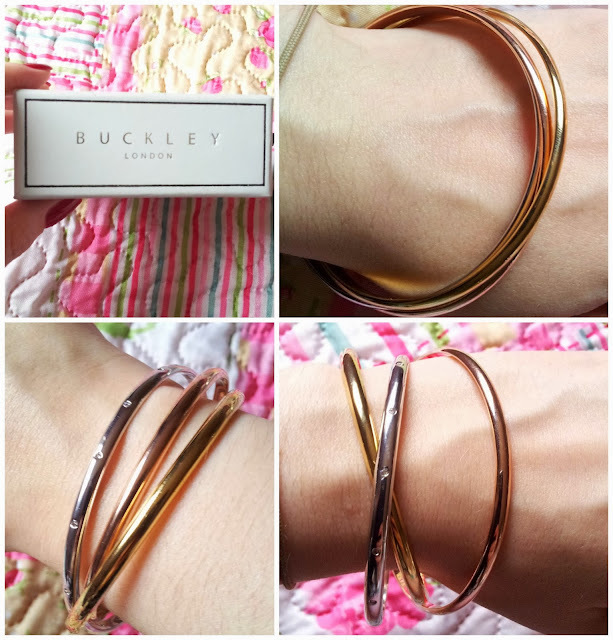 If you fancied checking out this collection or the bangle you can do so over on the Buckley website (link). 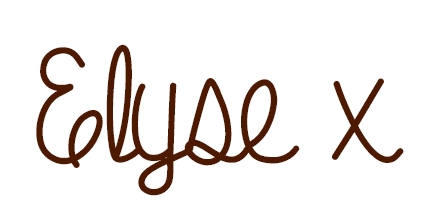 What do you guys think of this? Do you have any jewellery with a back story like this does for me?